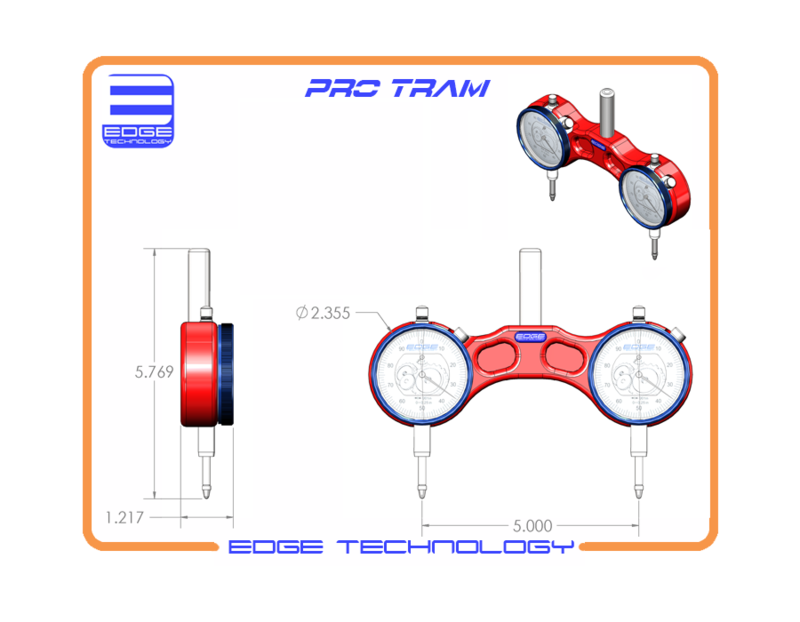 The Pro Tram by Edge Technology makes the process of tramming your mill fast, easy and accurate. 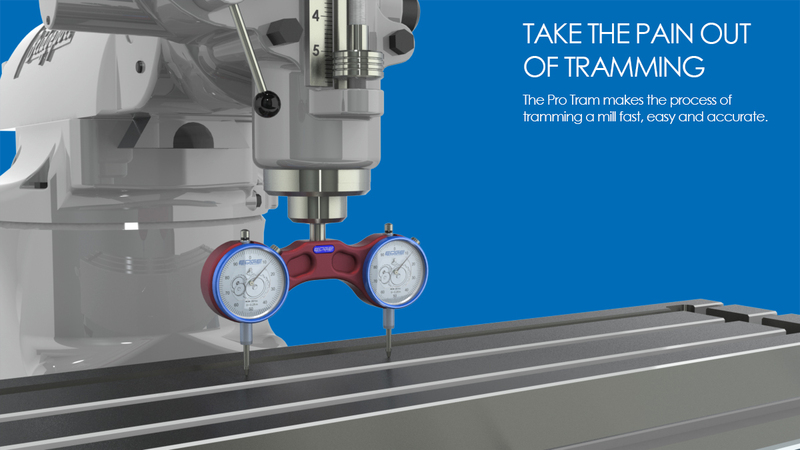 Tramming is the process of squaring the head of your milling machine to the table. 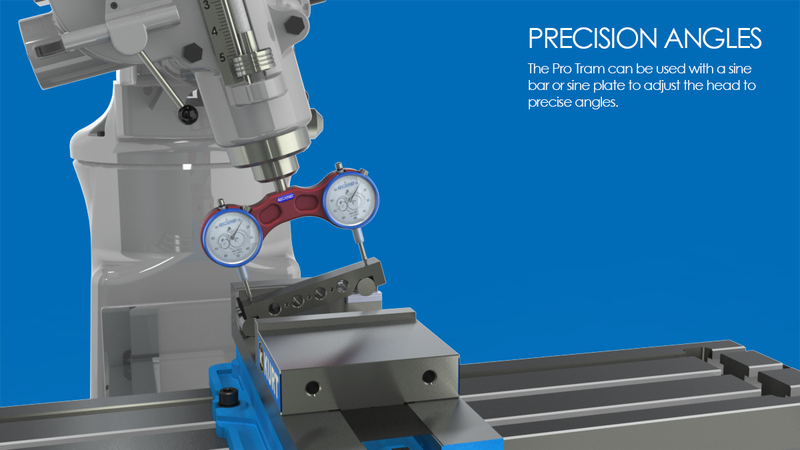 The Pro Tram is sized to fit the bed of a 6" vise allowing you to tram directly to vise for increased accuracy. It can be used with a sine bar or sine plate to adjust the head to precise angles. 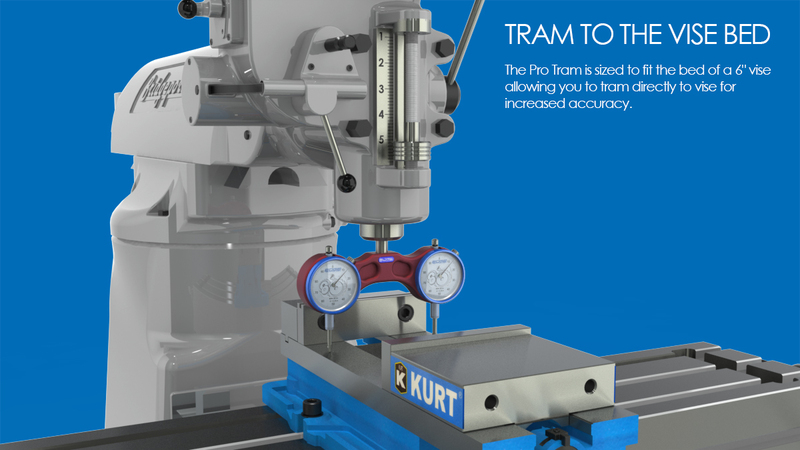 •	To use the Pro Tram simply lower unit to the table and adjust the head until both indicators read the same. •	Sized perfectly to fit the bed of a 6" vise allowing the head to be trammed to the vise instead of the table. 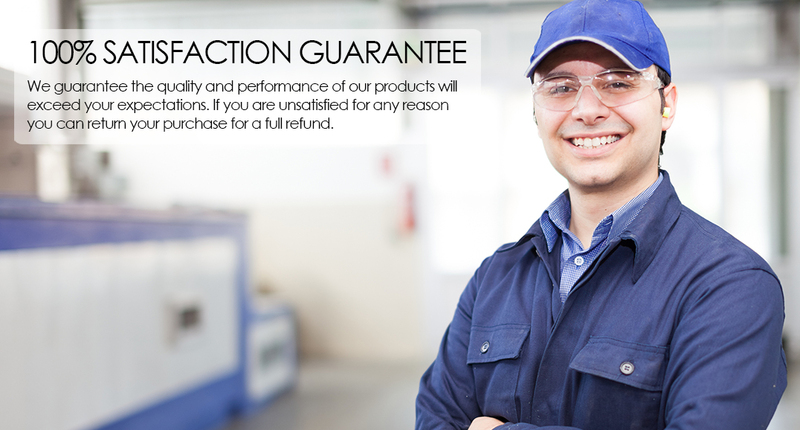 •	Indicator graduations available in 0.001" and 0.0005". •	Shank sizes available in 1/2" and 3/8". •	Large 2.2” easy to read indicator face.